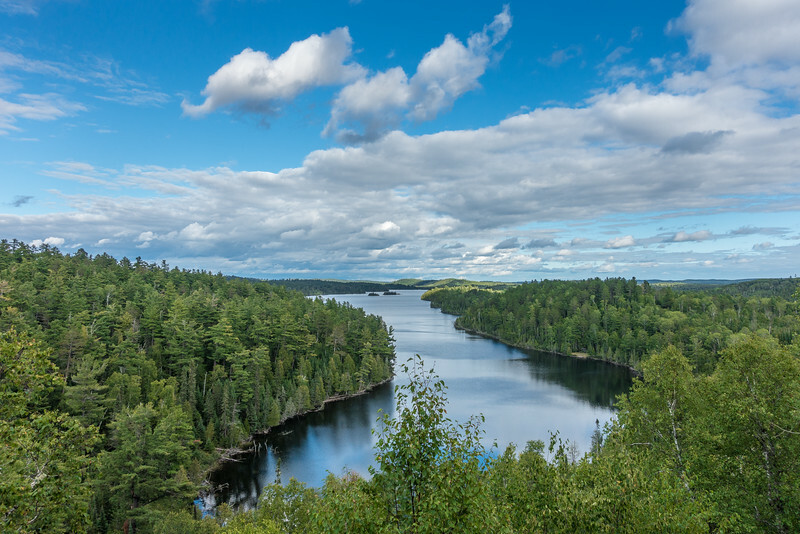 Yesterday I hiked the Caribou Rock Trail to Rose Lake in the Boundary Waters. What a tough hike! Jessica and I hiked this trail a few years ago but it was much more difficult this time thanks to a LOT of fallen trees from wind storms earlier this year. Many of the trees were cut and cleared, but just as many (if not more) were not. I ended up climbing over some, under some and taking sometimes lengthy detours around larger clumps of trees. Overall the hike was just a hair short of 10 miles round trip with 2,800 feet of overall elevation gain. LOTS of ups and downs along this trail! I think it just may be the toughest day hike in the county. For the majority of the hike the sky was filled with thick, gray cloud cover which didn't make for very good photography of the overlook views. On the return, however, the clouds were dissipating and there was some nice blue sky. I made this photo of West Bearskin Lake on the return portion of the hike. It's my favorite photo of the day. 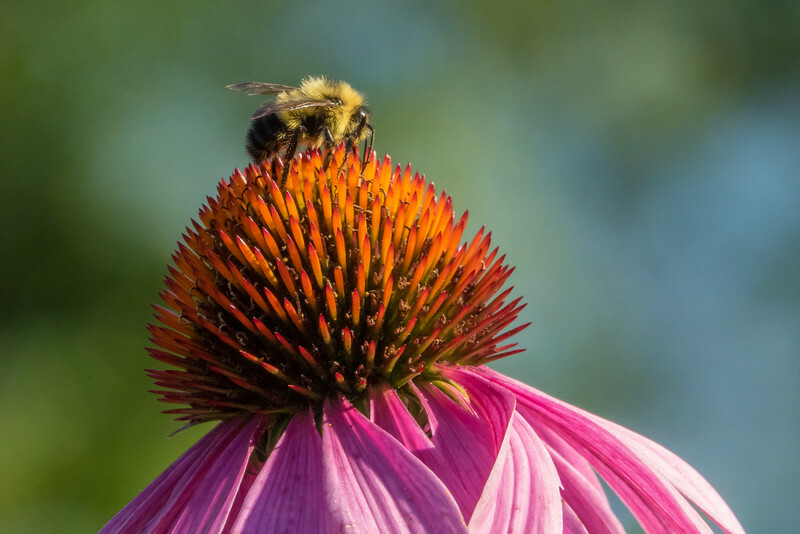 The bumblebees have been very active in our coneflower garden the past few days, methodically working over every individual flower. Seems like they are really trying to take advantage of the last of our summer blooms! 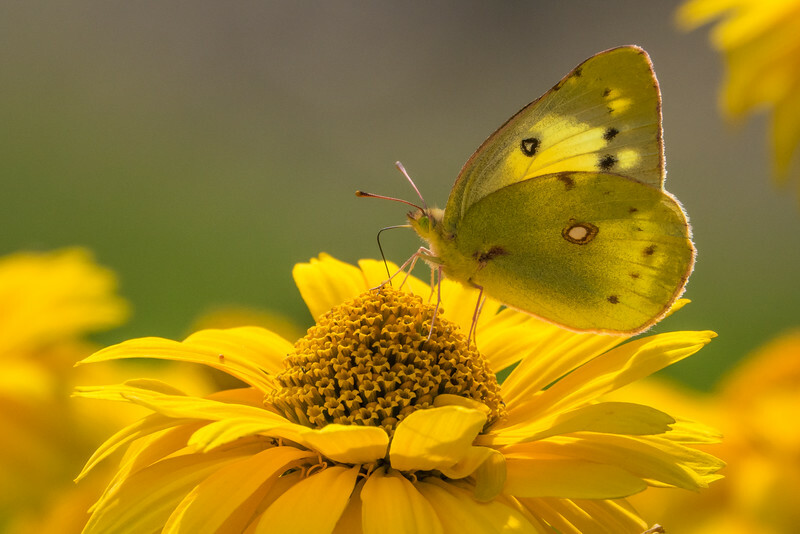 A beautiful little butterfly that was frequenting our flower beds this weekend. I was surprised to see this lovely little creature as there have been precious few butterflies around lately (that I've noticed, anyway). I hope everyone had a great holiday weekend! 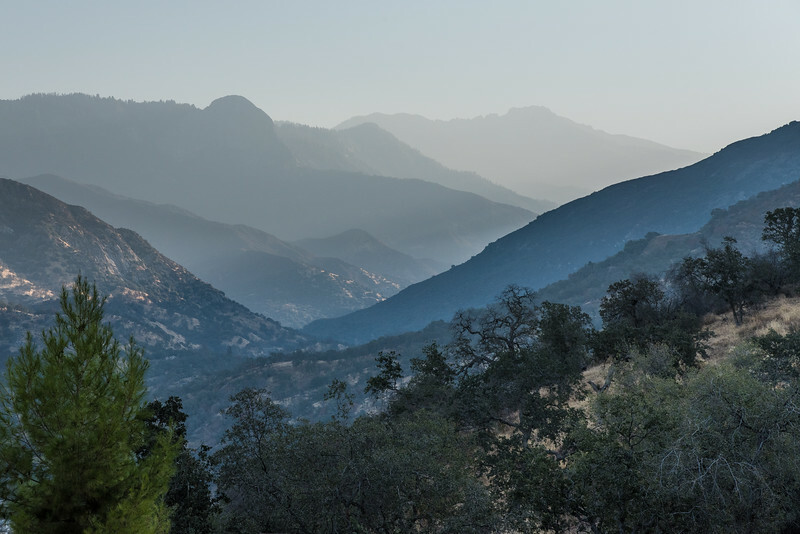 "The Hazy Mountains of California"
I just returned from a 10-day trip to California to visit my wife Jessica, who is working at Sequoia National Park. She took some vacation time as well and we did some traveling around the Sierra region. We camped most of the time and did a lot of hiking. The day I arrived the air quality wasn't the best and as we drove up into Sequoia National Park the haze made me think of the Smoky Mountains out east. The haze may not have been the best for breathing or visibility, but it sure made for some interesting photographs! 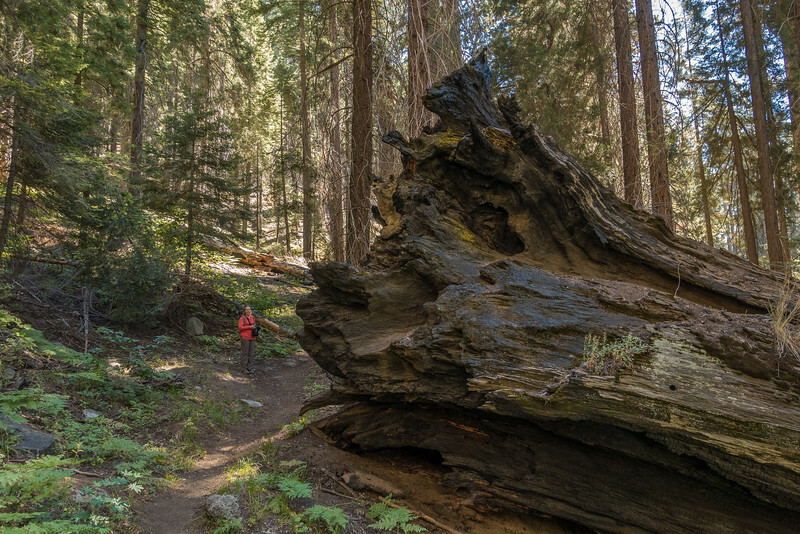 "Giant Sequoia - Paradise Ridge Trail"
The trunk of a massive Sequoia tree lays fallen in the forest along the Paradise Ridge Trail in Sequoia National Park. I cannot imagine how loud the thunderous crash was when this giant fell to the forest floor. I'm sure the earth shook when it hit the ground. 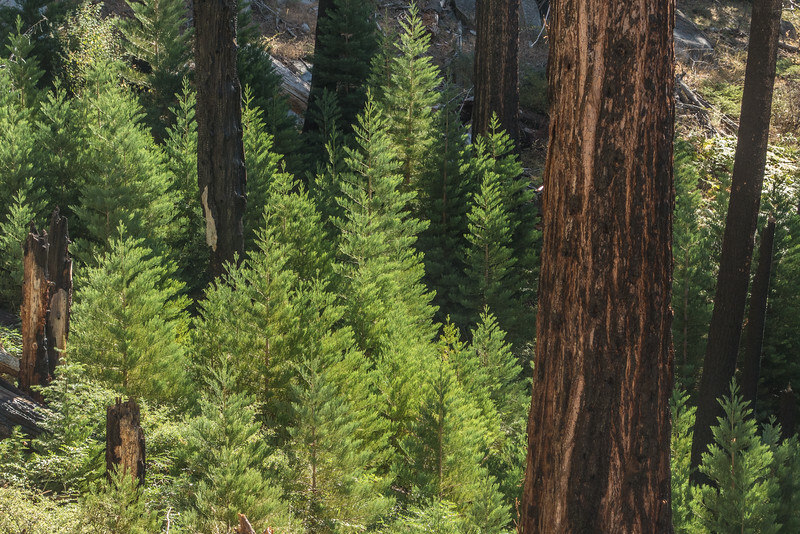 It was nice to see so many young Sequoia trees popping up along the forest floor... the new generation that will eventually replace the current old-growth giants! 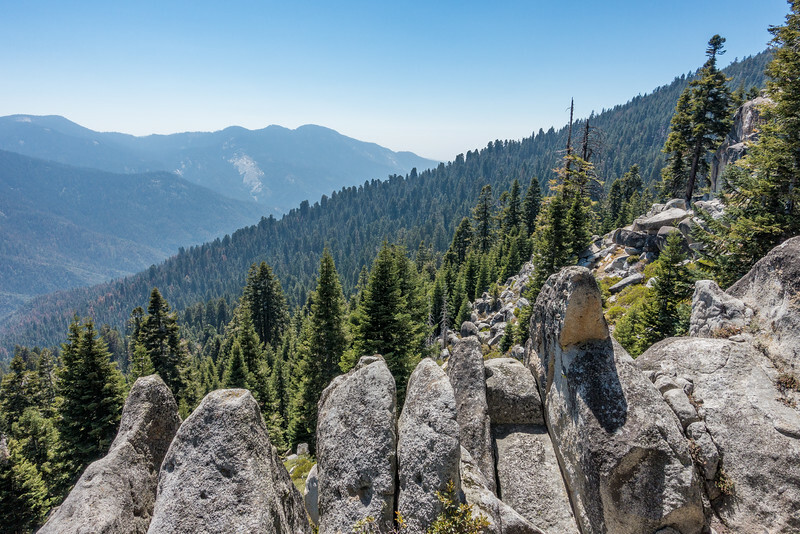 Yesterday I wrote about the Paradise Ridge Trail in Sequoia National Park and all the mind boggling trees that we passed on the ascent to Paradise Peak. Today I'm sharing a couple of images from the incredible views we found from the peak. Once you reach the pass on the ridge, there is an unmaintained route that continues to the peak. Once at the peak you are at an elevation of over 9,000 feet. The trailhead started at around 6,500 feet elevation. The views from the top of the ridge are definitely worth the hike, not to mention all the incredible views we had along the way getting there. We found a nice spot to take a little snack break while taking in the view of the mountains to the south. It felt like we were the only ones in existence while we sat and enjoyed these views, having them completely to ourselves. In fact, we did not see a single other hiker the entire day we were on the trail! "Black Wolf Falls - Mineral King Valley"
After our hike to Paradise Peak we did a little sightseeing along the remainder of the Mineral King Road. We took a drive up to the end of the road and did the short walk to Black Wolf Falls, a beautiful waterfall that comes down out of the mountains. 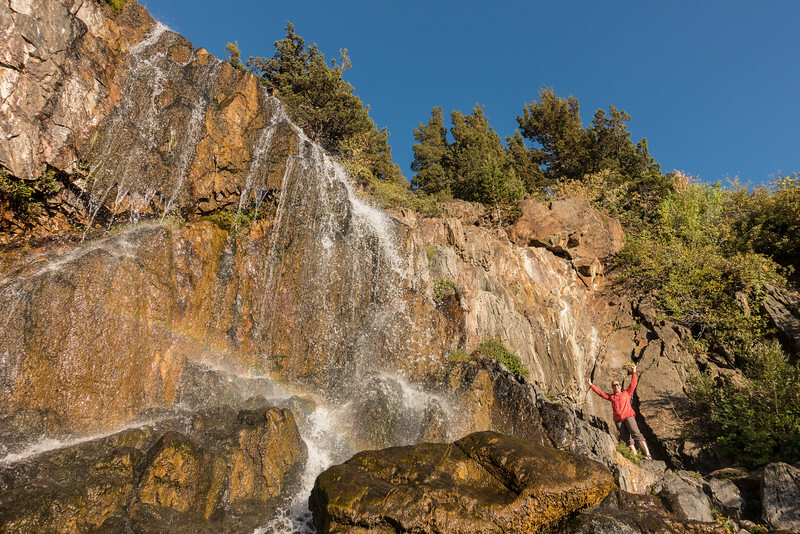 There is an old mine shaft that goes into the cliff face on the side of the waterfall, a reminder of the prospecting history of Mineral King valley. The water level was very low but it was a refreshing end to a long day of hiking along the dry, dusty trail to Paradise Peak. "NPS Corral - Mineral King Valley"
"Mineral King Valley and Farewell Gap"
For my second full day in California we hiked up to White Chief Canyon in Sequoia National Park. Right from the start it was an unbelievably beautiful hike. 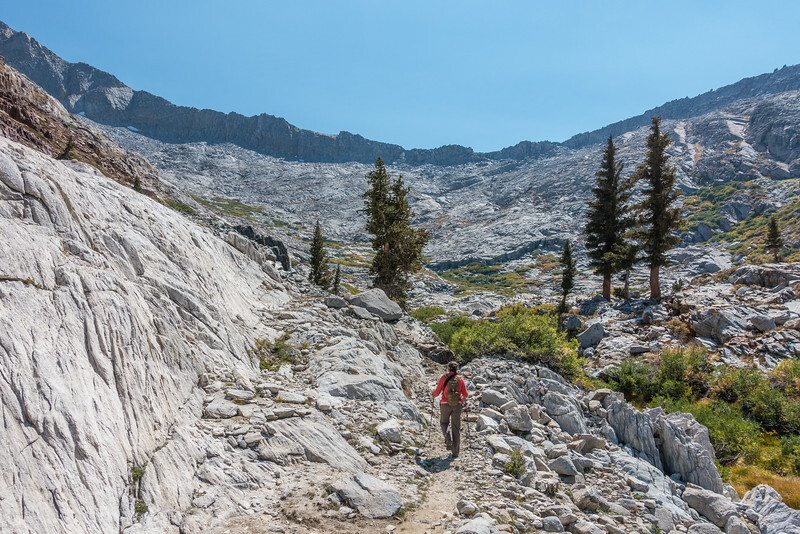 The Mineral King Valley looks like a mountain paradise as soon as you start out on the trail. The trail didn't stay on the valley floor for long though. Just minutes after we started hiking the trail started to climb the ridge on the right and we were treated to awesome views of the valley floor and the surrounding mountains. It was the start of another unforgettable day in California! "The Guardian of White Chief Canyon"
With the ascent up the ridge now behind us, it wasn't long until we started getting our first glimpses of White Chief Canyon. Just before the Canyon really opened up there was a large rock with this cute little chipmunk on it. He was standing on his hind legs, almost like he was "on watch", guarding over HIS canyon. He sure was a cute little bugger! And what a valley to call home... the views were incredible! And then, our destination was in sight! White Chief Bowl at the top of White Chief Canyon. Mountain bowls are fascinating. It is mesmerizing, fascinating and awe-inspiring to sit within a bowl and look up at the mountains that are, quite literally, surrounding you. 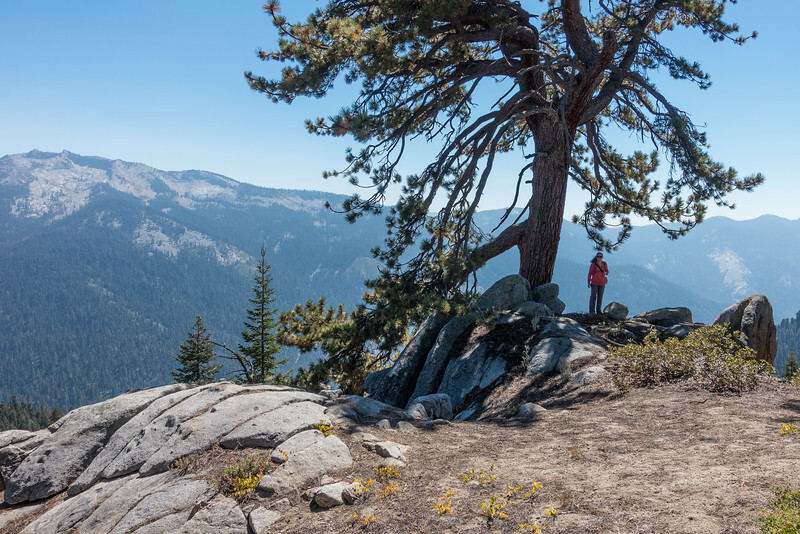 White Chief Bowl sits at just over 10,000 feet in elevation, making this my first hike to crest that mark! 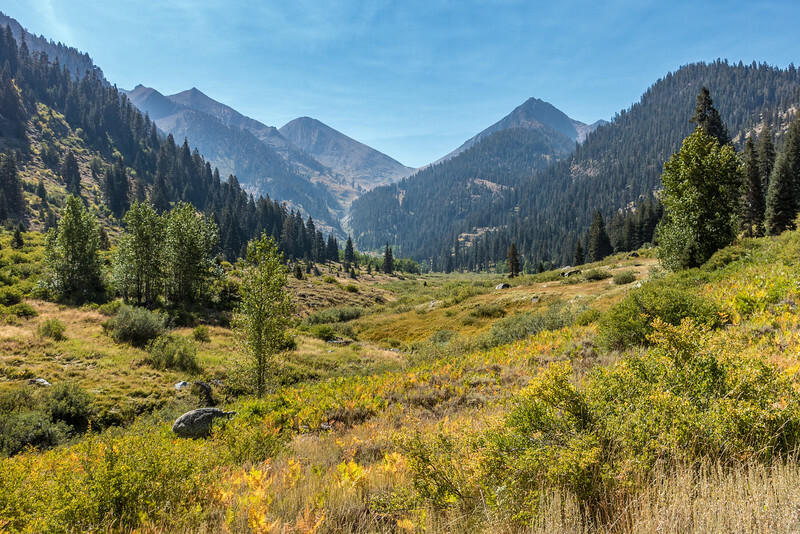 The White Chief Canyon hike had so many incredible views, it was hard to narrow it down to just a few images for my blog. 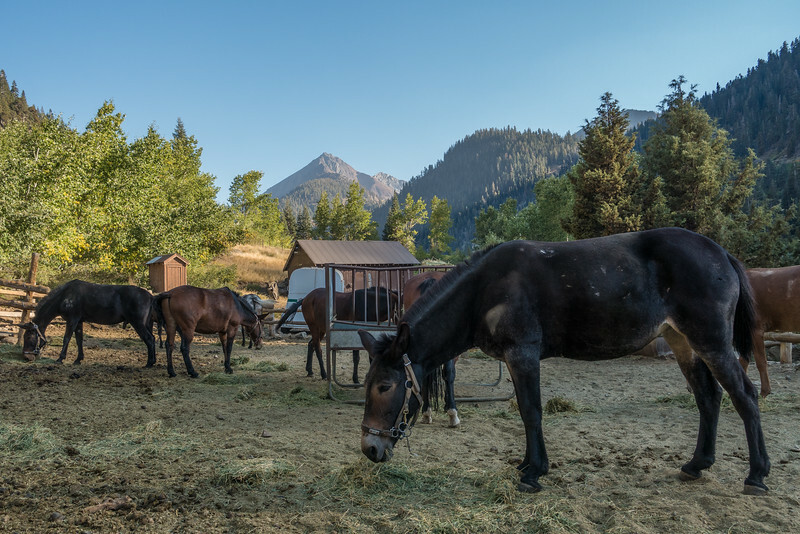 I will eventually be posting more photos from the hike on my website, so be sure to check it from time to time (the "Newest Images" gallery). 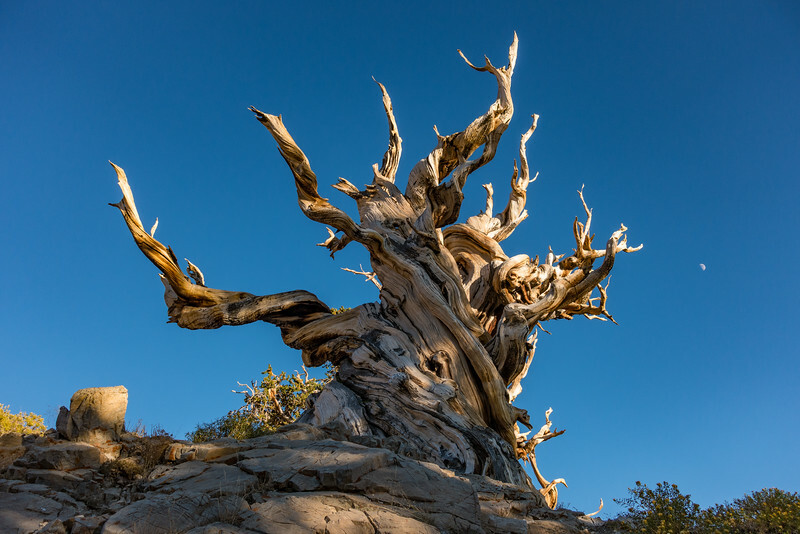 For the next leg of our vacation we headed over to the east side of the Sierras and up into the White Mountains, home to the oldest living trees on Earth: Bristlecone Pines. The oldest ones have been dated to be 4,500 years old! I've been wanting to see these trees for a long time so this portion of the trip was really a dream come true for me. The Bristlecones are uniquely adapted for life at high elevations. 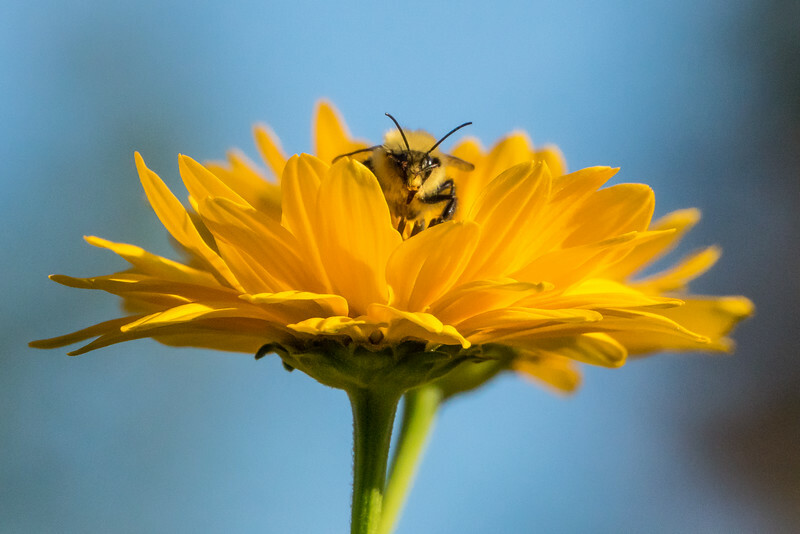 Most of them live above 10,000 feet and not only that but they seem to thrive there. We saw a huge variety of both living and dead trees. The dead ones were the most intriguing in their looks. 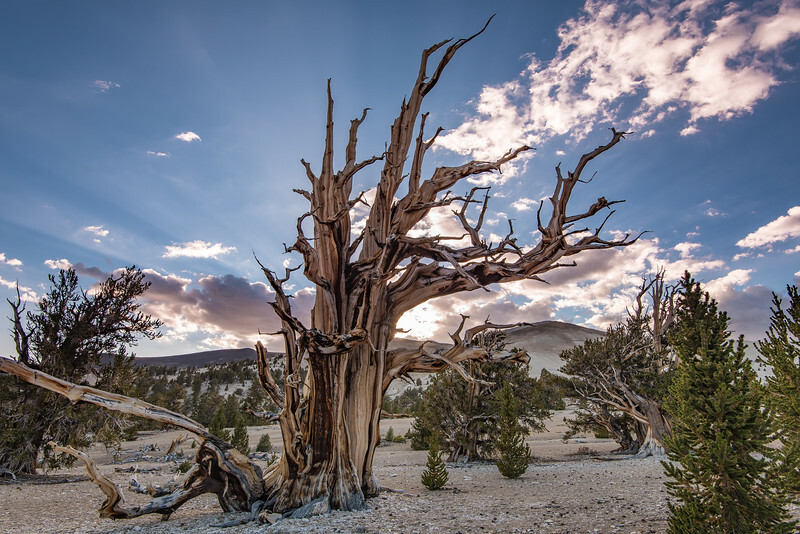 Devoid of any greenery or bark, the dead trees really show off their incredible colors and patterns. Not to mention the amazing twisting characteristics that many of them have not only in their branches but in their trunks as well. 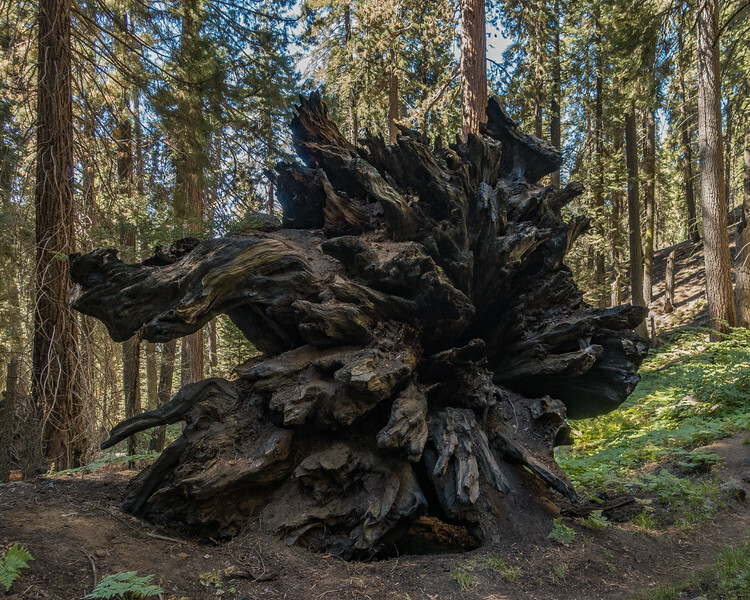 The forest service has done an amazing job of building super-cool trails through the Bristlecone forest. 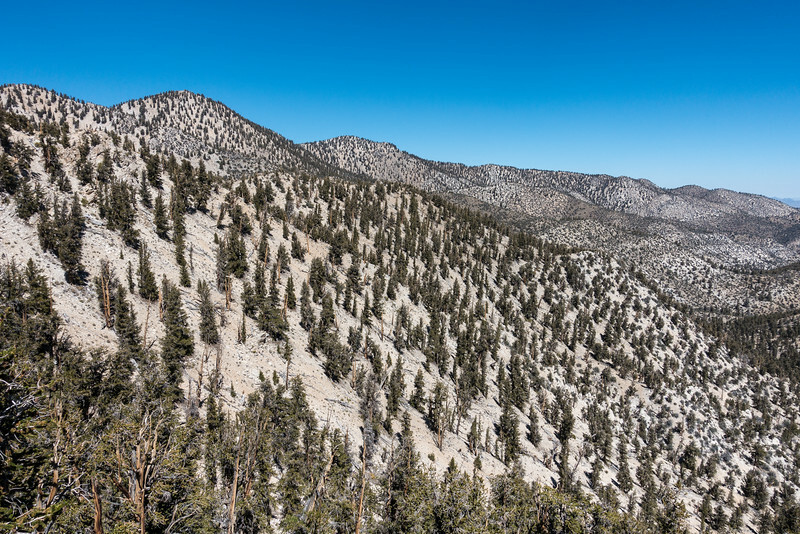 There are almost 6 miles of trail on two different loops throughout the Schulman Grove, which is the lower elevation group of the two main groves of Bristlecones. We had a great time hiking the trails and really admired the way the trail was constructed into the hillside. I literally lost track of how many times we said WOW or COOL or AWESOME!!! 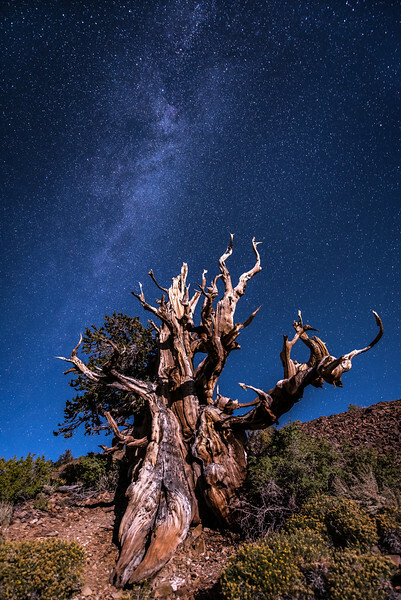 while exploring the Bristlecone Pine forest. It seems impossible but literally around every bend in the trail there is an even more amazing tree than the countless ones we had already seen. It felt kind of superfluous to keep repeating these words over and over, but the environment warranted their excessive use. The photos I posted earlier today were from the Schulman Grove of Bristlecones in the White Mountains of California, which is located at the end of the paved portion of the road that accesses the area. 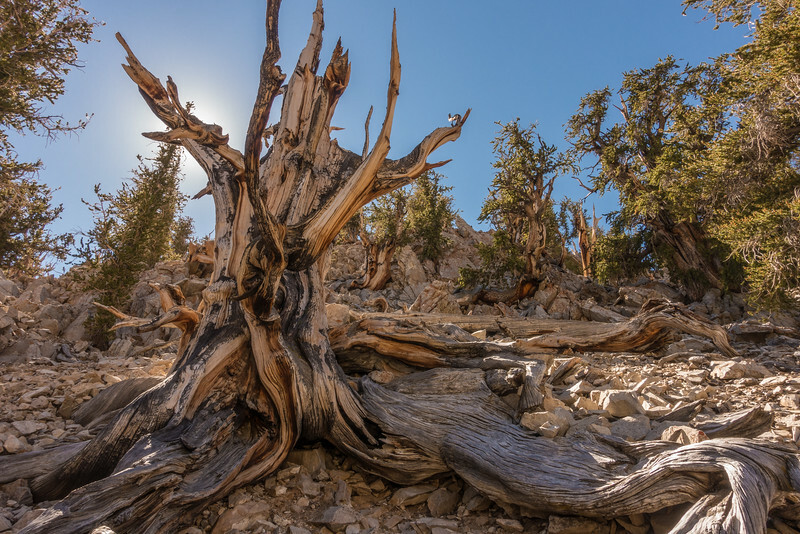 The Schulman Grove is at an elevation of roughly 10,000 feet and contains the oldest known Bristlecone which is approximately 4,500 years old. 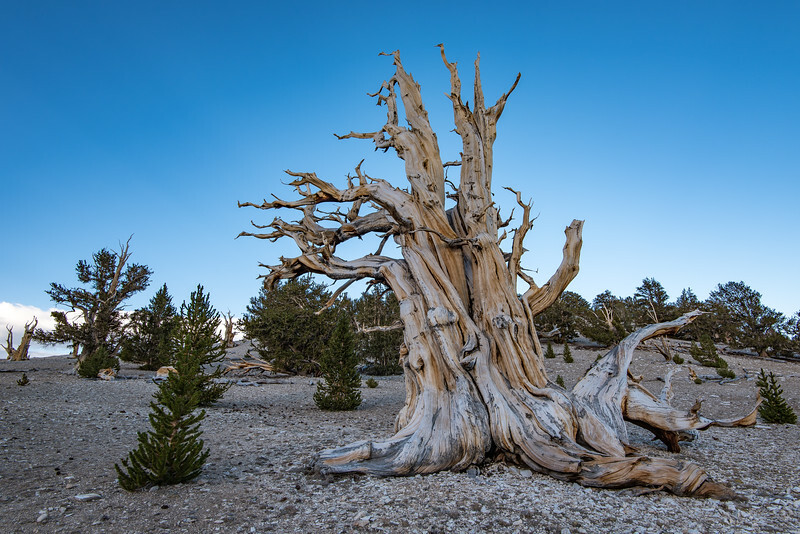 After spending the morning and early afternoon in the Schulman Grove we drove up to the Patriarch Grove, which contains the world's largest bristlecone pines. 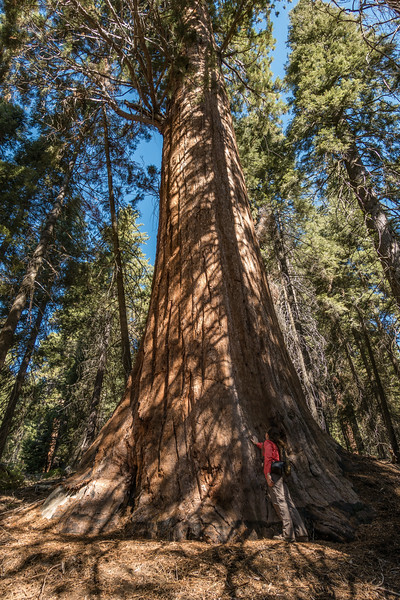 The Patriarch Grove is at an elevation of about 11,000 feet and at the end of a rough 12-mile dirt road but is well worth the drive! 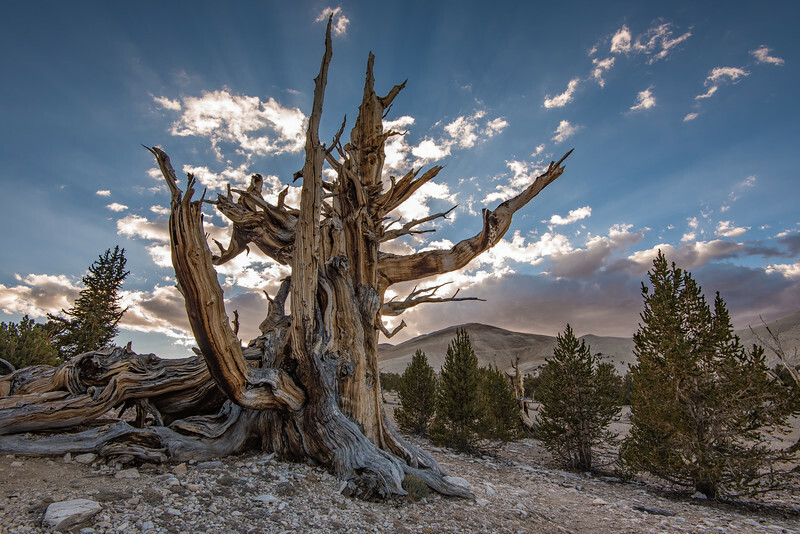 We arrived at the Patriarch Grove a couple of hours before sunset. There are two short 1/2 mile trails that wind through the trees and there are several AMAZING trees on these walks. We found two that we really liked and decided to focus our time on those for photography as sunset drew near. 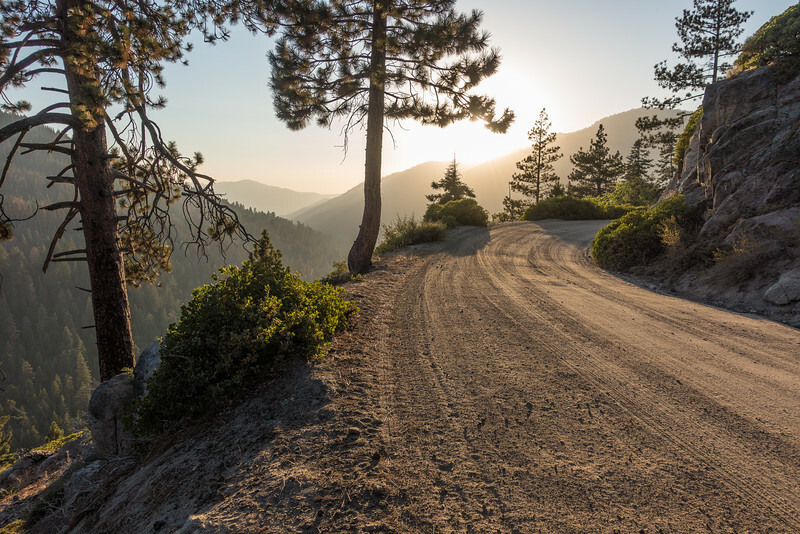 We ended up having one of the best sunsets of the trip at Patriarch Grove. Some clouds had been moving through all afternoon, which hung around until sunset. Clouds had been nonexistent on the trip up to this point. Just as the best clouds were approaching behind the trees, beautiful rays of sunlight began to streak across the sky from behind the clouds. I couldn't have asked for a better sky to go along with our visit to this unbelievable place! 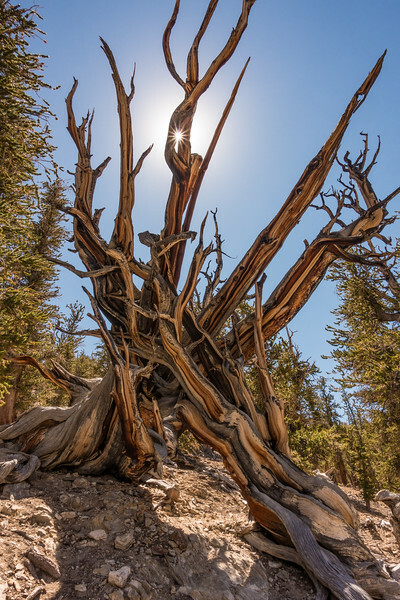 Out of the countless Bristlecone trees that we saw, I think this one is my favorite. 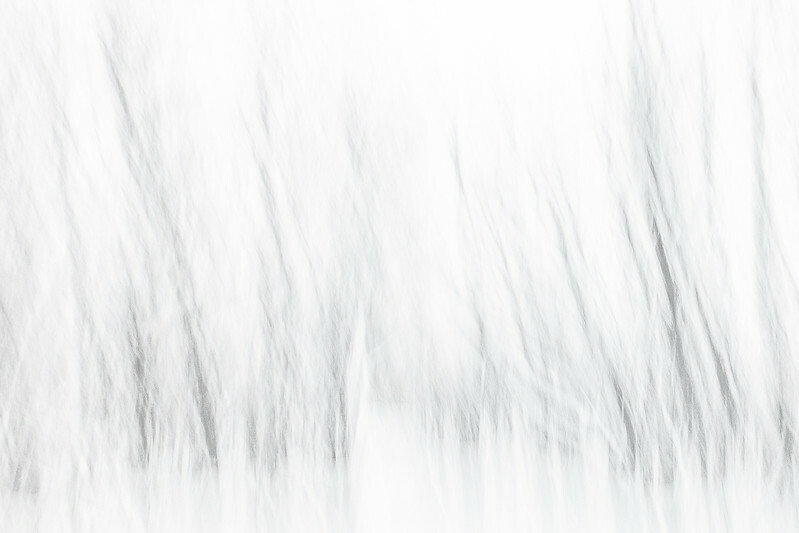 There is just something about its shape and the fact that it stands out so cleanly from any other trees. It's the one that I see as having the most photographic potential. Indeed, as soon as we saw it I knew it was the one I wanted to come back and photograph at night with the stars and moonlight. Speaking of moonlight, you can see the moon rising just to the right of the tree in this photo. This photo was made about an hour and a half before sunset. 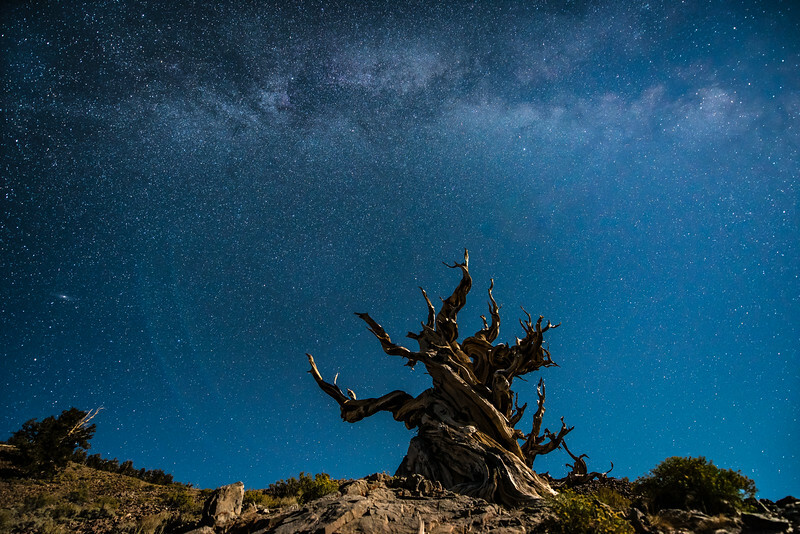 "Milky Way and Moonlight over Ancient Bristlecone"
Our time in the Bristlecones now behind us, we headed back down to the Owens Valley. The drive down from the White Mountains was just as spectacular as the drive up. As we approached the valley we could see the Sierras getting closer. And, lo and behold, there were clouds! So far on this trip clouds had been a rare sight. 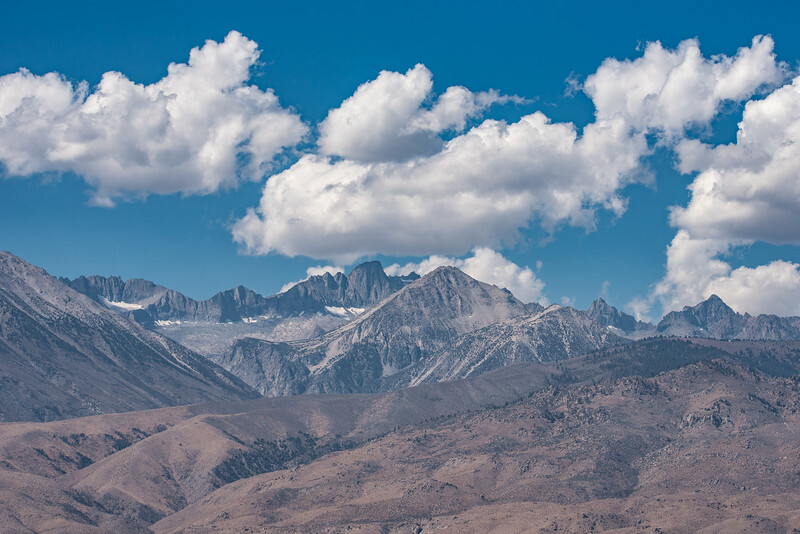 The rugged peaks of the Sierras combined with the lovely clouds made for an unforgettable scene. 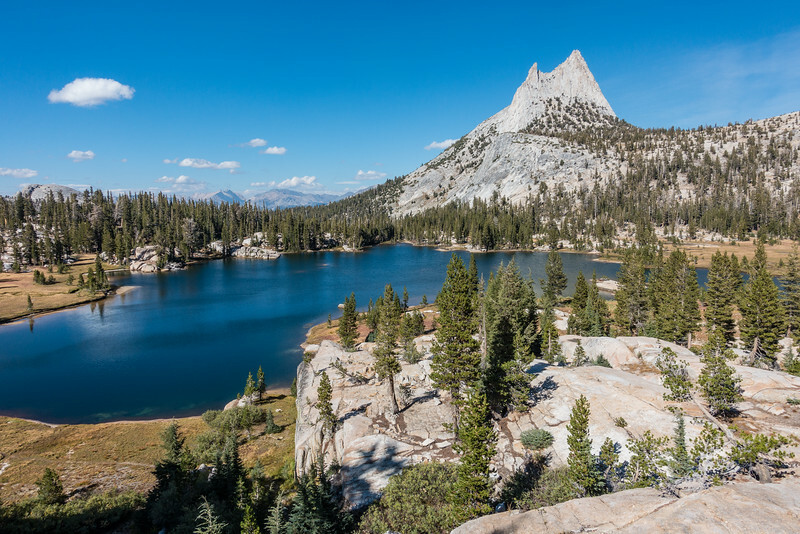 "Cathedral Peak and Upper Cathedral Lake"
Our next stop after a night of rest and recuperation in the town of Bishop was the high country of Yosemite National Park. 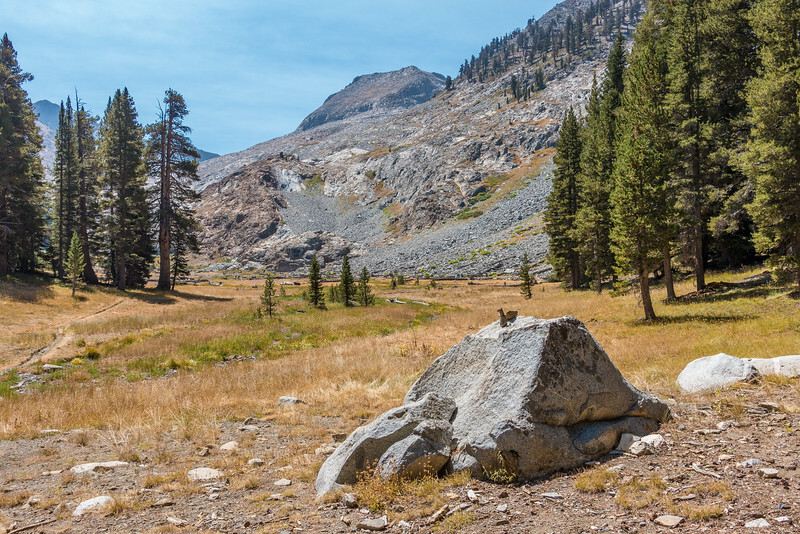 We camped at the Tuolumne Meadows campground and hiked up to Cathedral Lakes. This hike was unbelievable! 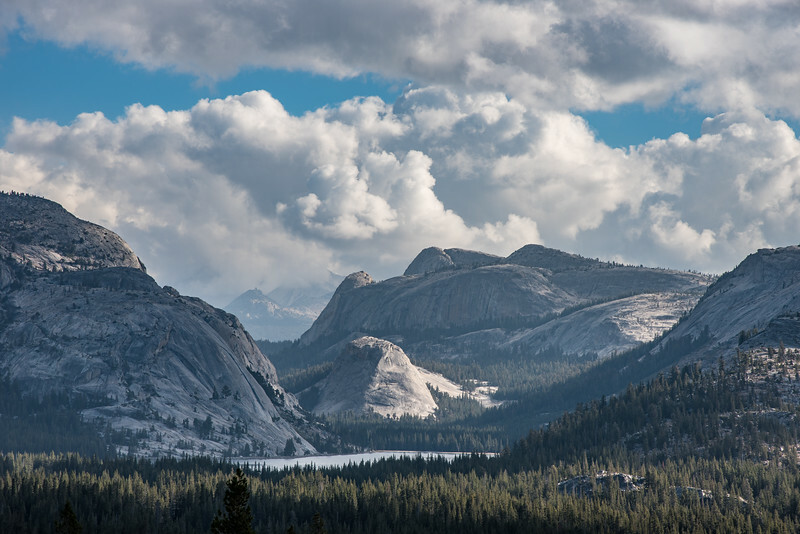 Talk about a quintessential Sierra mountain scene! We first hiked to Lower Cathedral Lake which, of course, was plenty beautiful but I much preferred Upper Cathedral Lake. 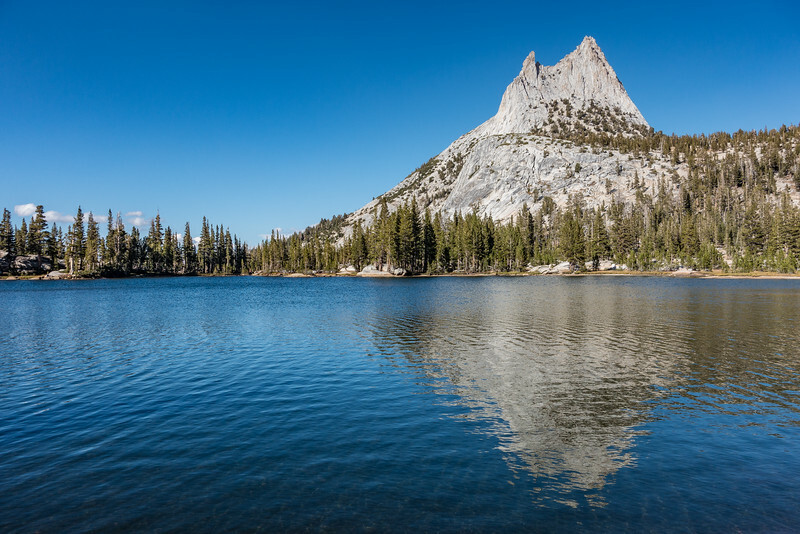 The views from the far side of Upper Cathedral Lake were awesome, to say the least. "September Morning over Lake Tenaya"
A beautiful September morning over Lake Tenaya in Yosemite National Park! On our second day in Yosemite National Park we did two shorter hikes rather than one longer hike. 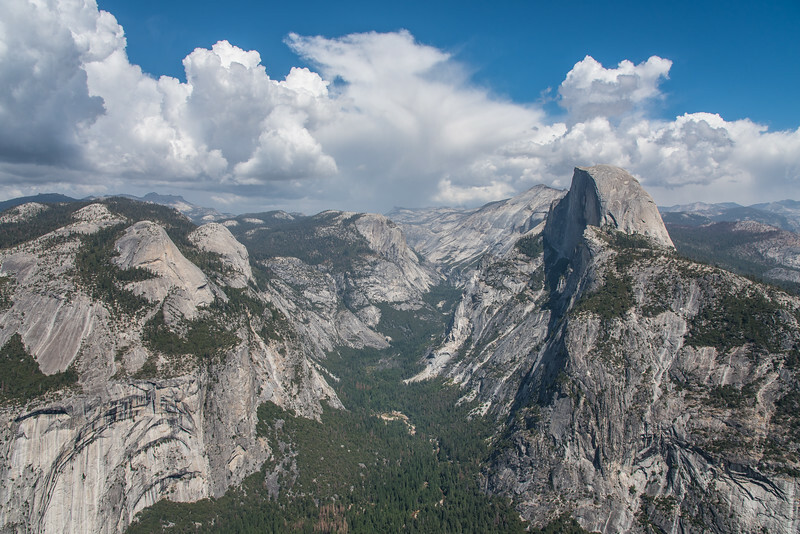 The first of those hikes was to the top of Sentinel Dome, a cool rock dome that gives an awesome view of Half Dome and Yosemite Valley. 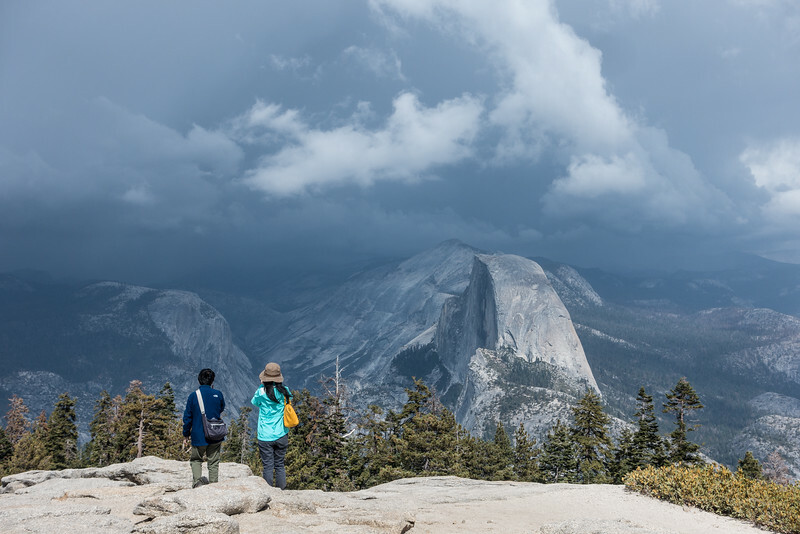 Unfortunately we couldn't spend much time on top of the dome as it looked like storm clouds approaching and the last place you want to be during a storm is on top of a dome! So, we enjoyed the view for a few minutes, took a few pictures then headed back down. 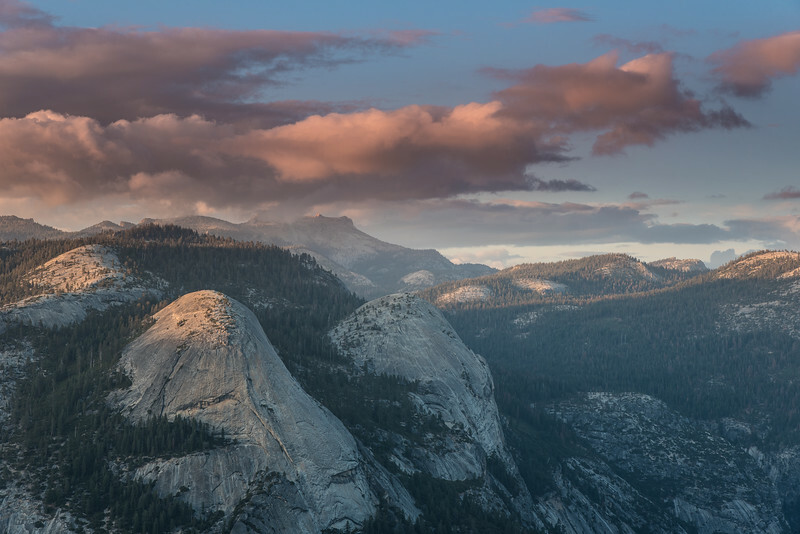 As it turns out the weather never did make it as far as Sentinel Dome, but it's always best to play it safe and we're glad we did. "Approaching Storm over Half Dome"
"Yosemite Valley View from Taft Point"
For our second hike on our second day in Yosemite we walked out to Taft Point, a magnificent spot overlooking Yosemite Valley. 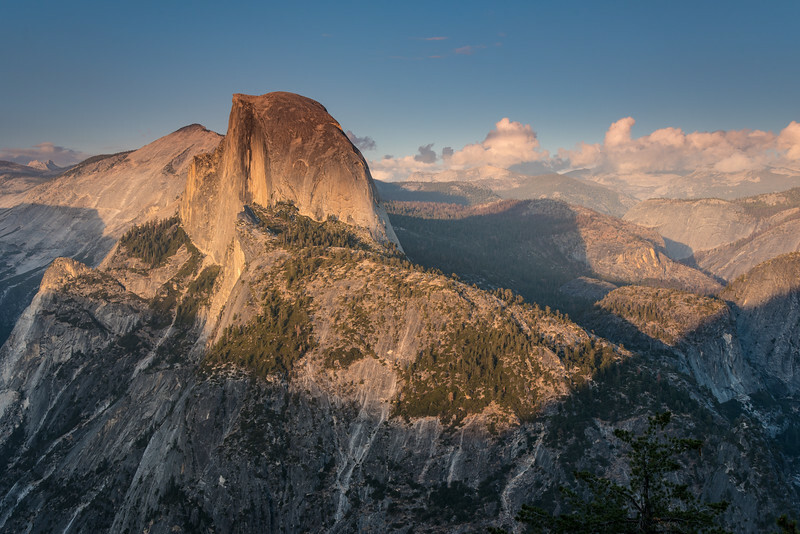 We visited Taft Point in the late afternoon so we had to contend with a lot of haze in the valley. 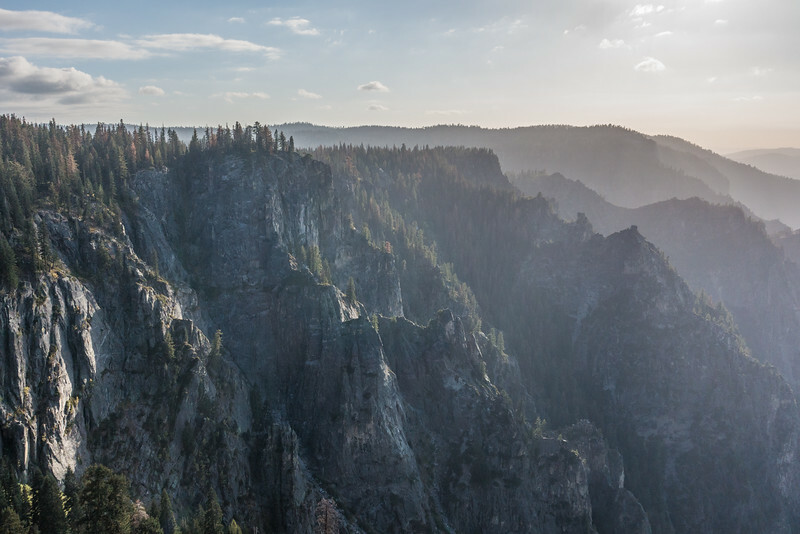 The haze actually added a lot of impact to the photos that we shot, giving a greater sense of depth to the canyon walls. You really have to be careful here as there are no railings to keep you safely back from the edge of the cliffs. It was a little nerve-racking to stand close enough to the edge to get photos like this. 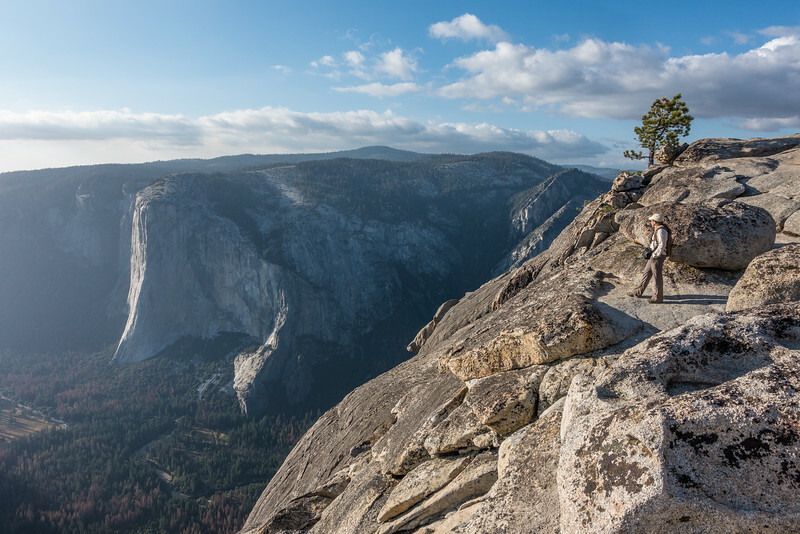 It seems like everywhere you go in Yosemite there is jaw-dropping beauty and Taft Point was no exception! "Taking in the view from Taft Point"
"Glacier Point - Half Dome View"
Even though the majority of our trip was mostly off the beaten path we did do the normal tourist thing as well and followed the masses out to Glacier Point in Yosemite. And boy am I glad we did! Even though we had to wait almost half an hour in a long line of traffic just to get a parking spot, the view was worth the wait! 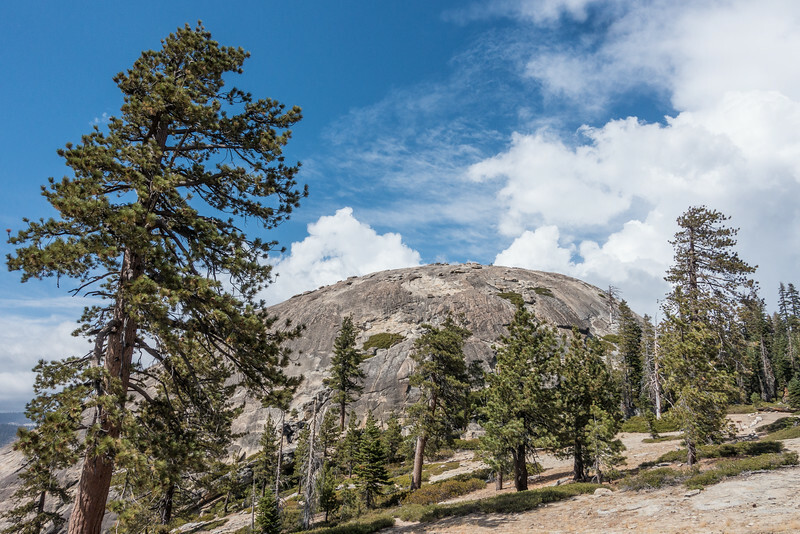 It didn't hurt that we had some awesome clouds in the sky to complement the already amazing view of Half Dome and the surrounding mountains. This is one of those classic, iconic national park views. 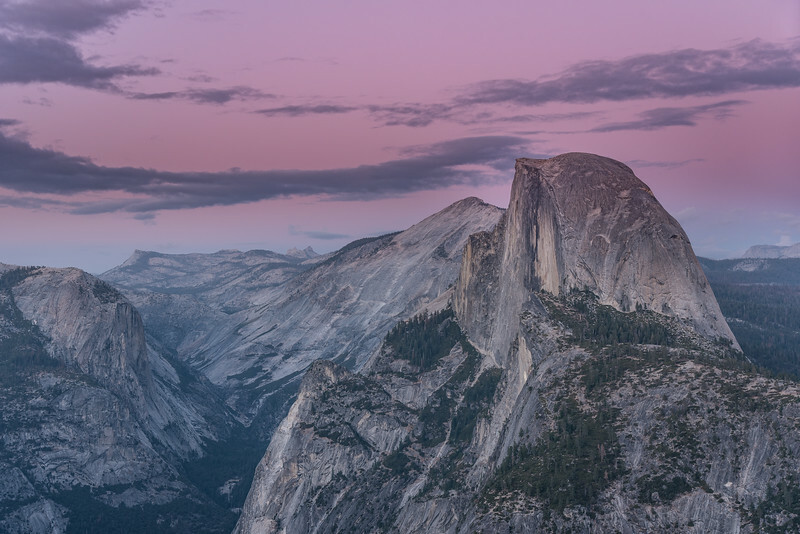 Seeing views like this definitely take your breath away and makes you thankful that we have a national park system to preserve these natural wonders as best we can. "Sunset, North Dome and Basket Dome"
"Magic Hour Light over Half Dome"
"Sunset Clouds and Autumn Colors"
It's been a strange year for fall colors here in northeast Minnesota. There is a lot of color out there in the leaves but so many are still green. High winds have also gone through over the last few days, knocking many of the leaves off the trees. 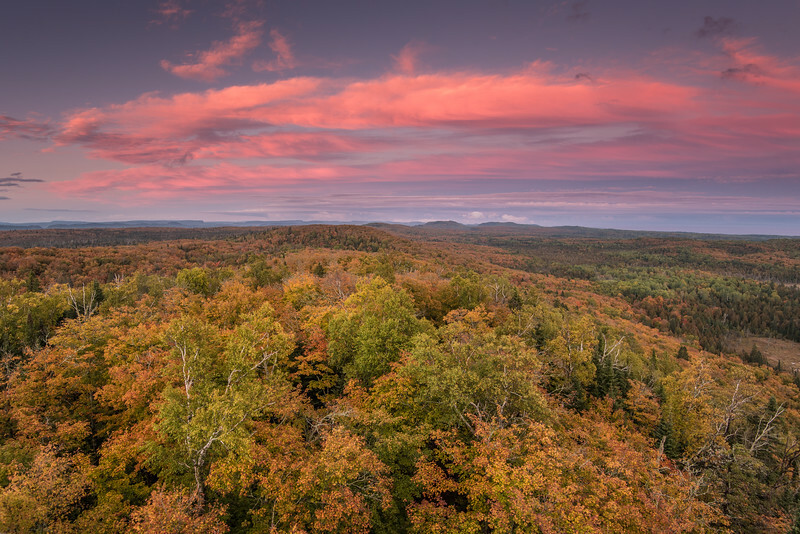 The other day I went up to one of the fire towers in Grand Portage and made this photo of clouds over the trees to the east while the sun was setting behind me. 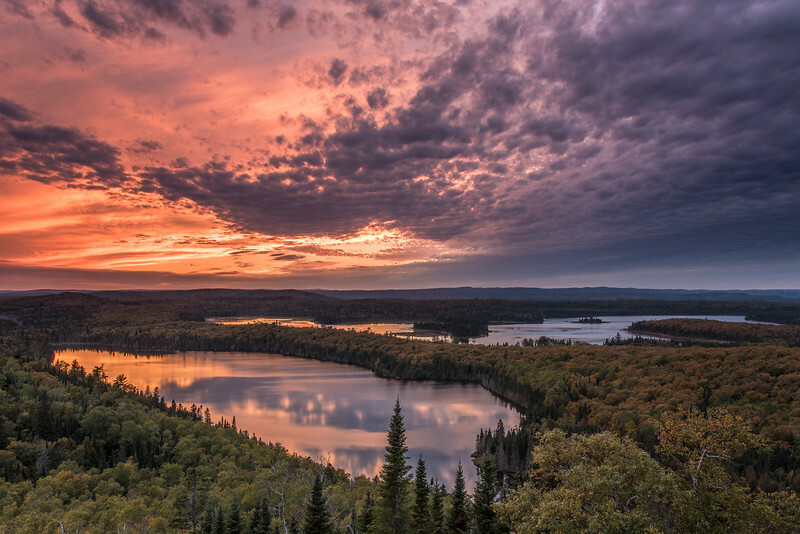 "Awesome Sunset, Trout and Swamp Lakes"